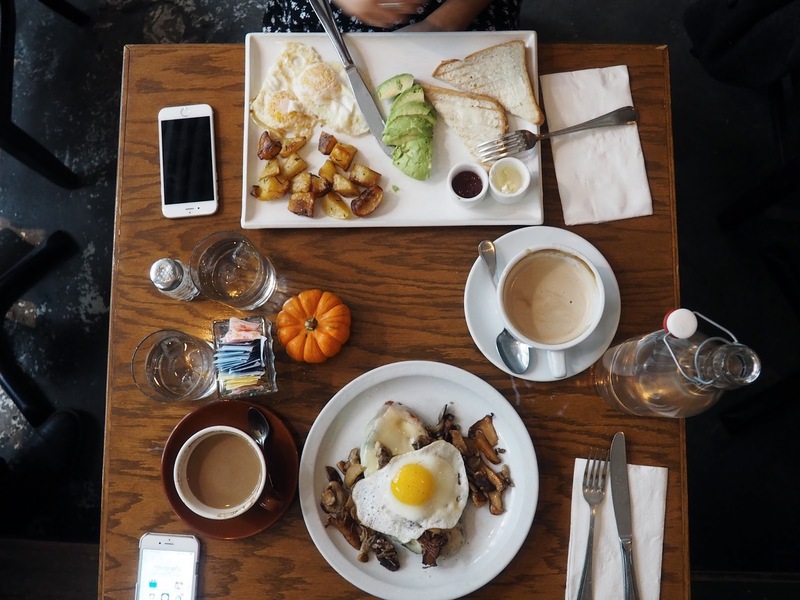 If there's one thing we did a lot of in NYC, it was brunch. 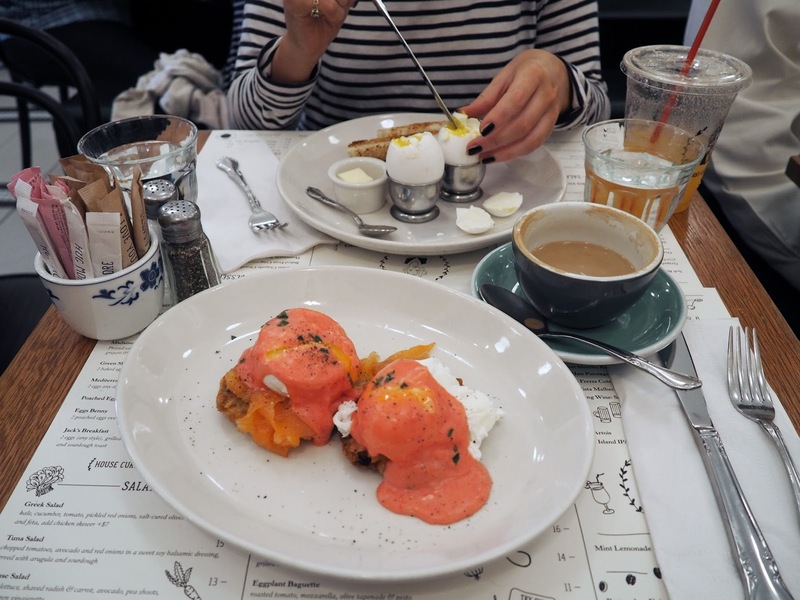 Even before we left I'd compiled a list of best brunch spots and screen shotted countless shots of eggs benny from my favourite New Yorker's Instagram. 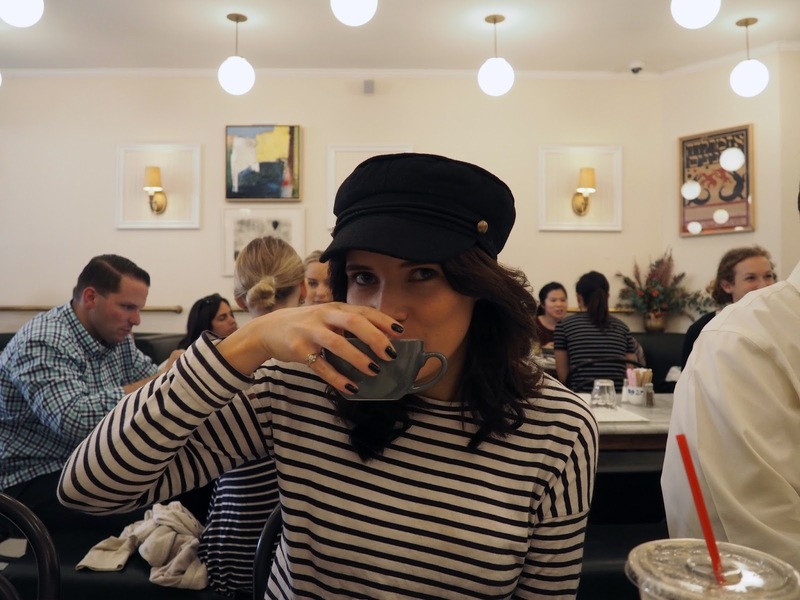 And let's be honest, brunch in New York is something else. They go above and beyond, from unique culinary creations to all-vegan menus and slices of french toast the size of a doorstep. 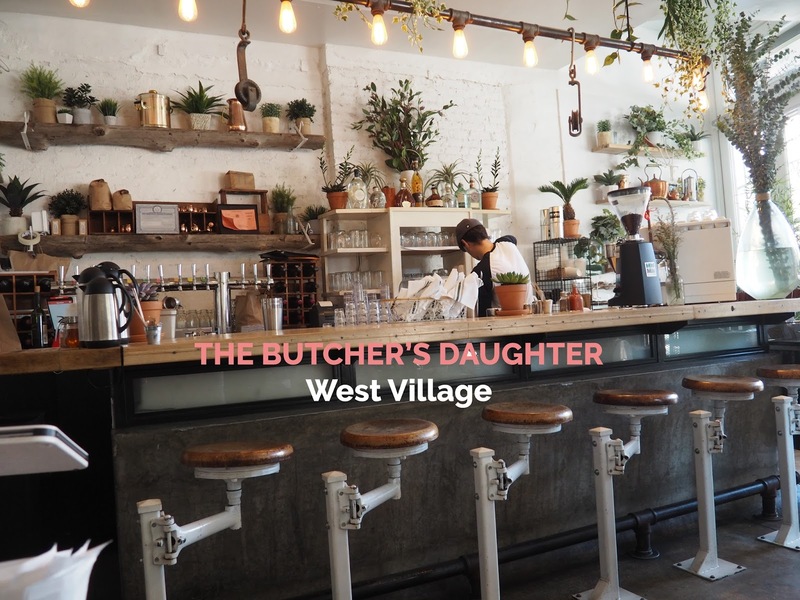 So naturally, I had to share with you my some of my absolute favourites that you simply have to visit if you're in New York City. 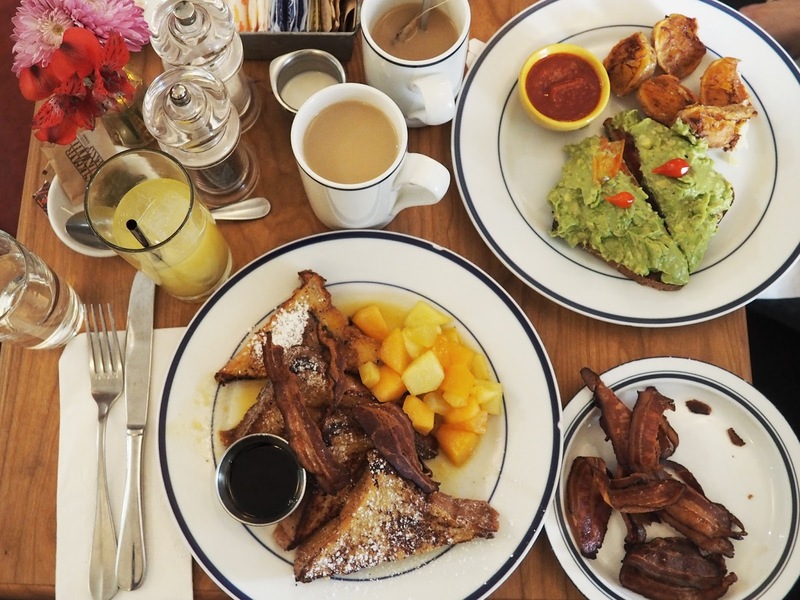 And if not, here's to some mouth-wateringly good weekend brunch inspo! Following a Catfish and The Bottlemen gig downtown the previous evening, we were definitely in need of some serious re-fuelling the next morning. 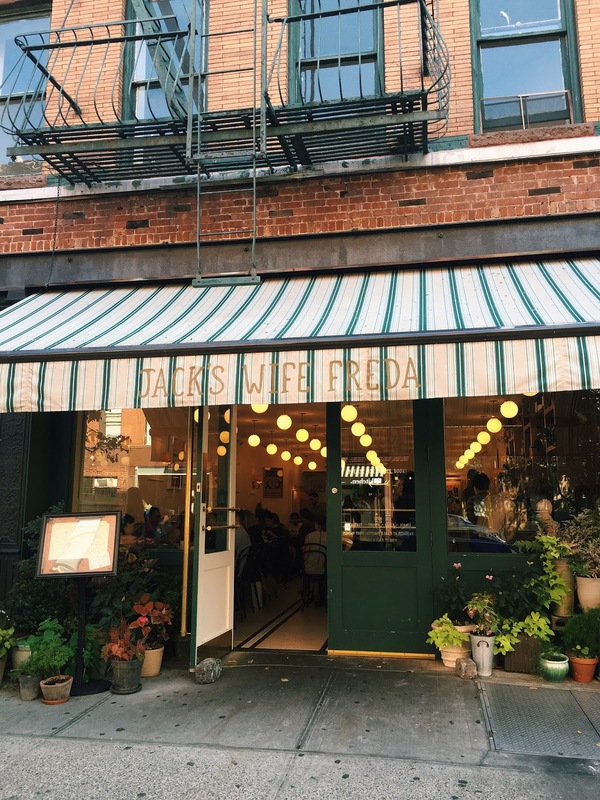 I'd spotted Jack's Wife Freda on many a New Yorker's Insta feed and was instantly drawn to the adorable branding (this is the place with cute quotes on the sugar packets!) and colourful looking brunch dishes. 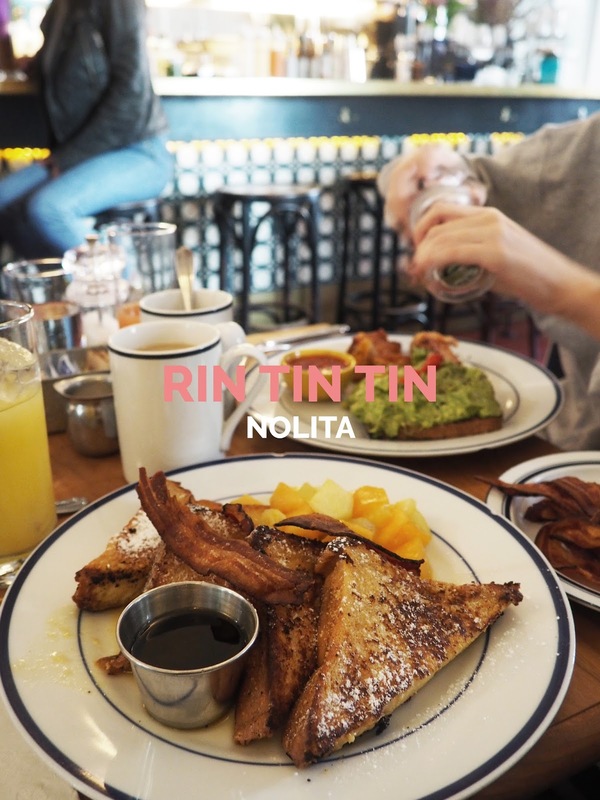 Inside, it 100% lived up to my expectations and the food was delicious – you simply have to order the eggs benny with beet hollandaise! We popped in here after walking the whole length of Highline (in 30 degree heat, might I add), and were in desperate need of a sit down and some good food. 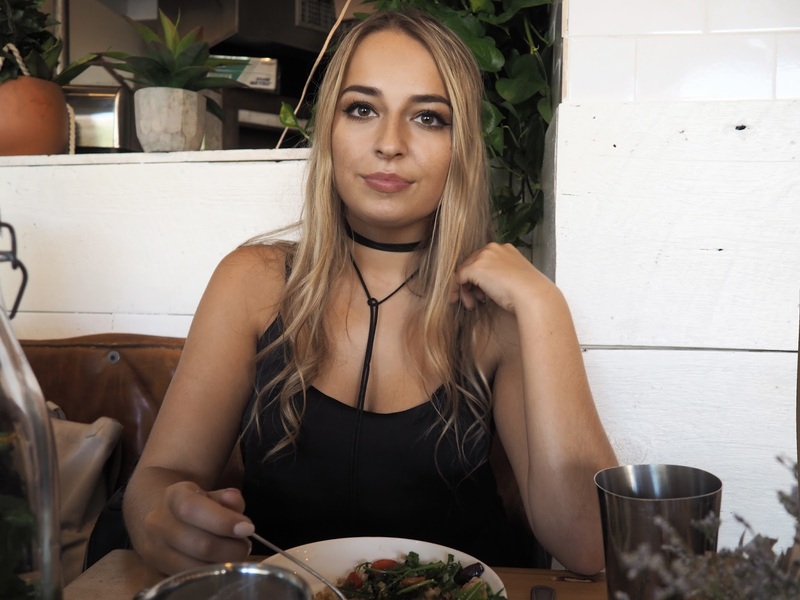 After a monstrous portion of chilli cheese fries in a diner the day before, I was more than ready for all the goodness this vegan had to offer. We both went for kale salad variations, Liz a Caesar and me a mediterranean bowl topped with the most heavenly vegan cashew ricotta. 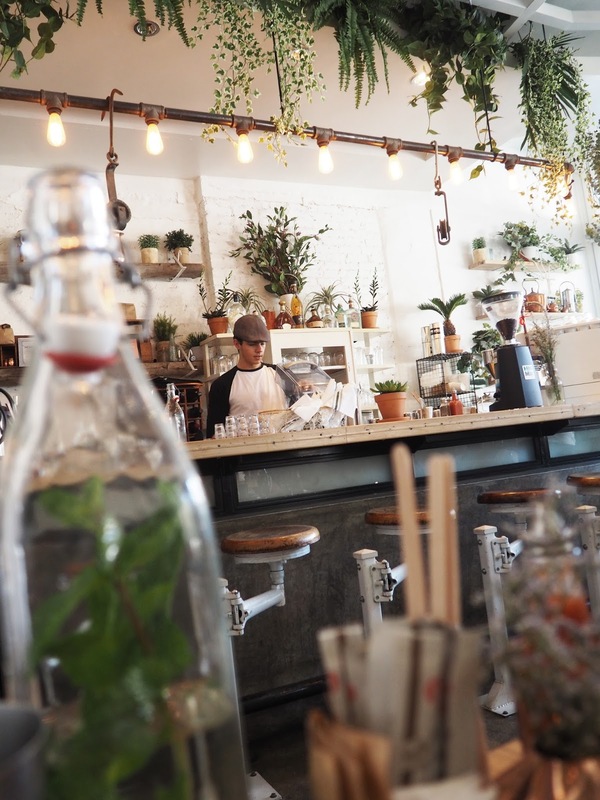 All of course, balanced with a couple of pilsners from their own brewery – the perfect brunch/lunch spot for veggies, vegans or simply anyone that enjoys some seriously amazing tasting healthy food. 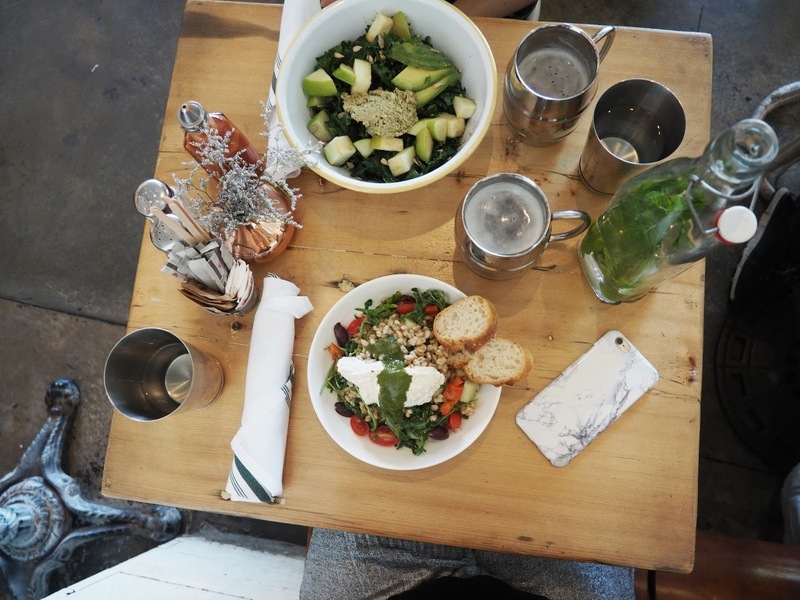 This spot in Nolita was recommended to us by my US blogger babe Alyssa when we met up for drinks. 3 cocktails down combined with an accent barrier, I accidentally took the name down as 'Ren Ten Ten' (doh!) and was super disappointed when I couldn't find it online. 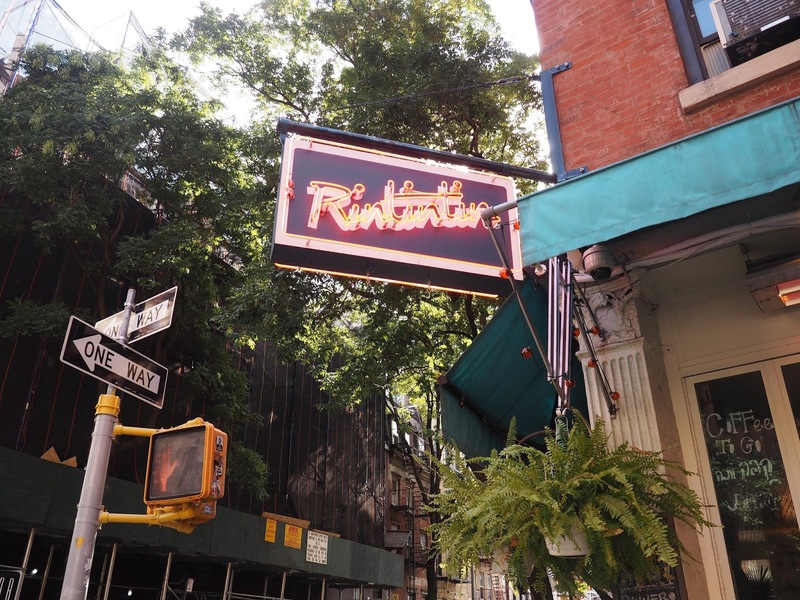 So you can imagine my joy (and of course embarrassment at my own stupidity) when we stumbled upon a glorious looking place called Rin Tin Tin durning our day in Nolita. They served a serious portion of French toast and a side (read: 10 rashers) of bacon with molten fruit and maple syrup, which was probably my most favuorite brunch of the whole trip. They do, however, also have lighter options too – Liz's avo on toast looked pretty damn delish. Extra points for the most on-point dreamy decor in this place too. We hit up this spot after a cold and windy walk across the Brooklyn Bridge. I'd been dying to see Dumbo (not mainly for the hope of spotting Rufus Humphry) and the iconic cobbled streets and old converted warehouse buildings, so as chilly as the walk across from Manhattan was - they were well worth it. We'd originally been reccomended a spot called Atrium which was unfortunately closed for a private event so, we were super delighted to stumble upon this lovely spot just around the corner. 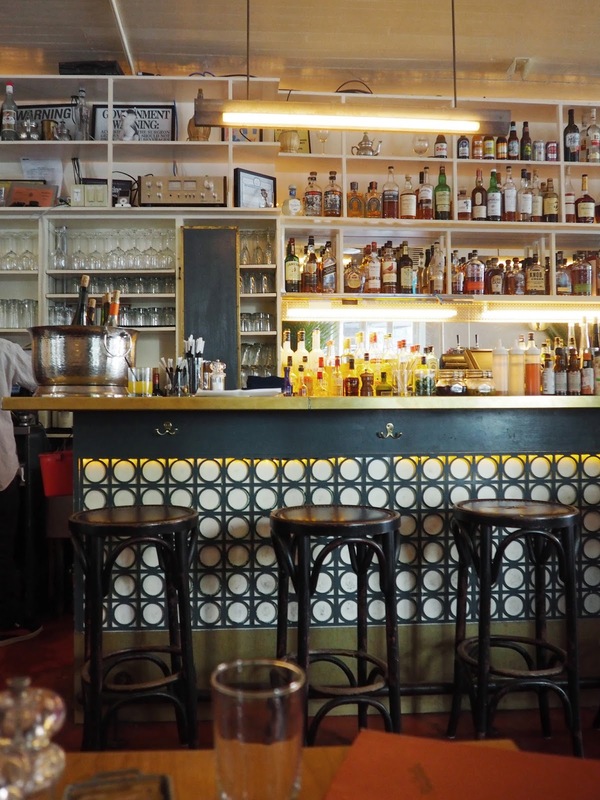 Half pub, half café, this Italian trattoria was just the ticket we needed to refuel. I went for a truffled wild mushroom, egg and melted cheese concoction off the specials board which was as divine as it sounds, though I did have some food envy of the woman sat next to us who ordered their insane 'eggs on a cloud' dish! 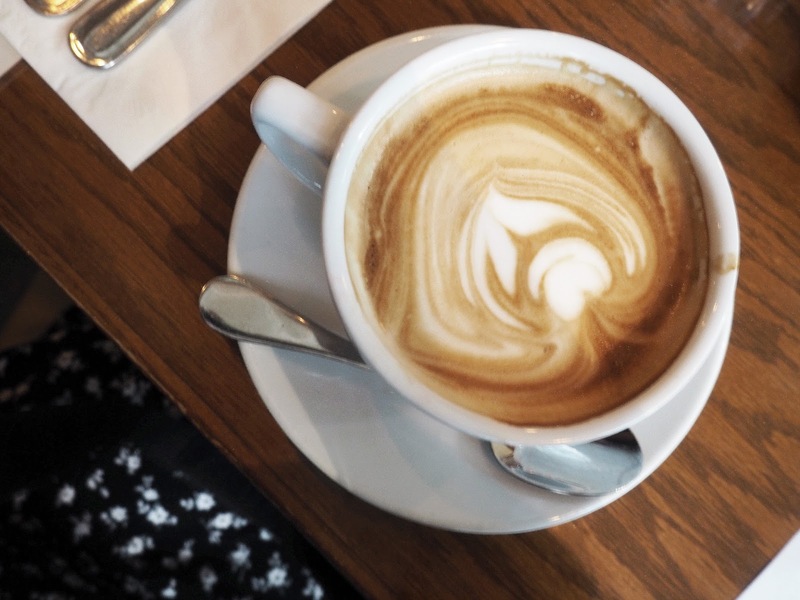 Extra points for gorgeous tasting coffee too. Bookmark this post for your next trip to NYC!